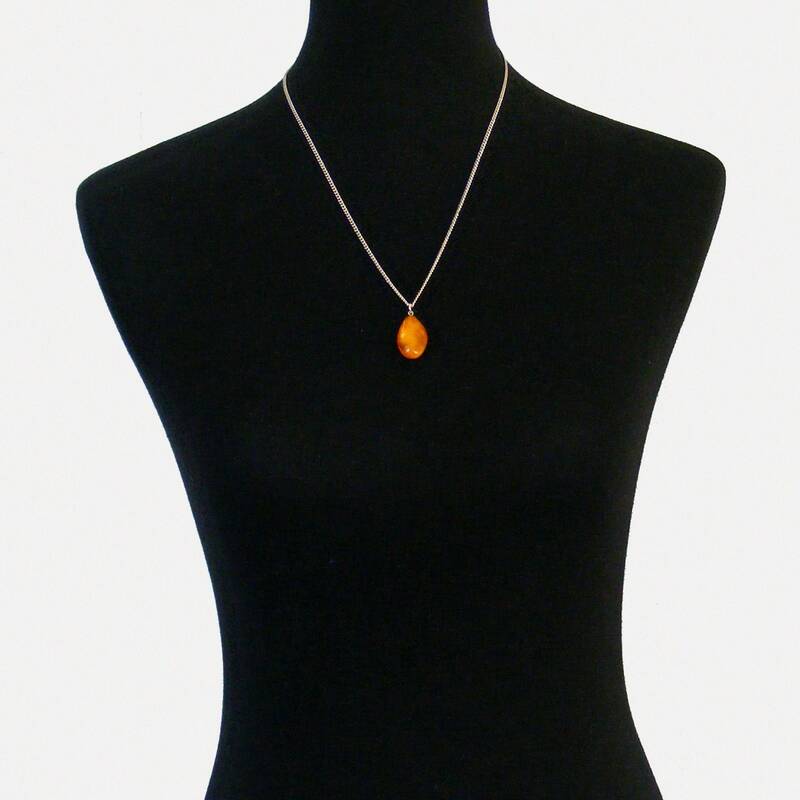 A richly colored vintage drop pendant of glowing Egg Yolk Amber with a sterling silver bail. 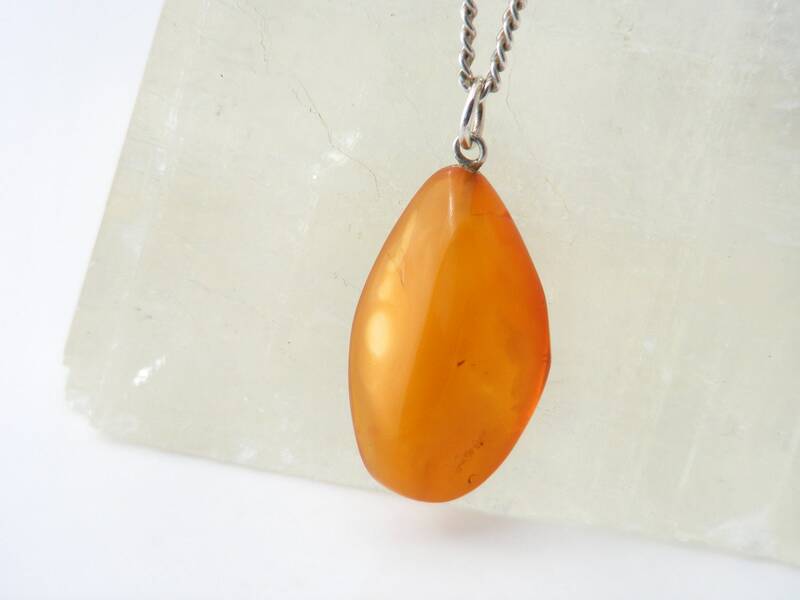 The glossy natural free-form pendant has wonderful shades of orange, deep translucent color with light and opaque inclusions - very much like egg yolk! 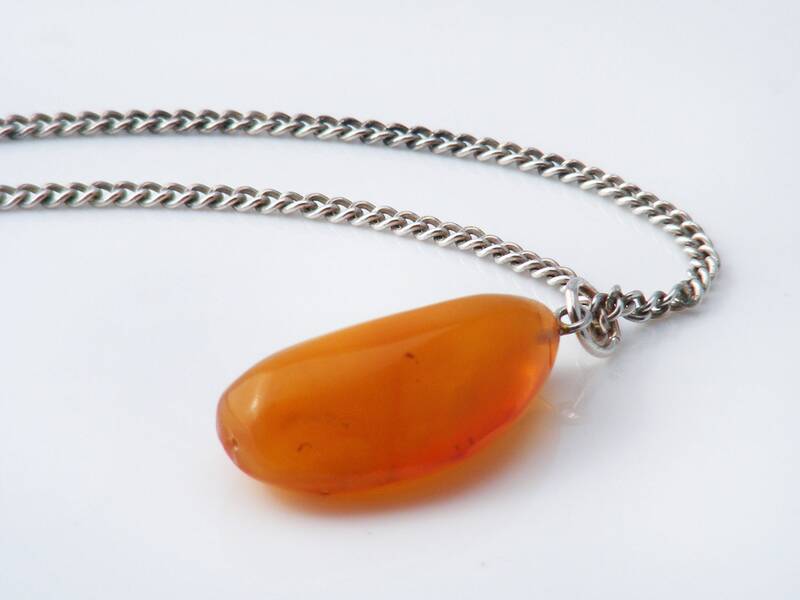 Free form or natural in shape, very popular in 1960s jewelry, this is a very tactile pendant. 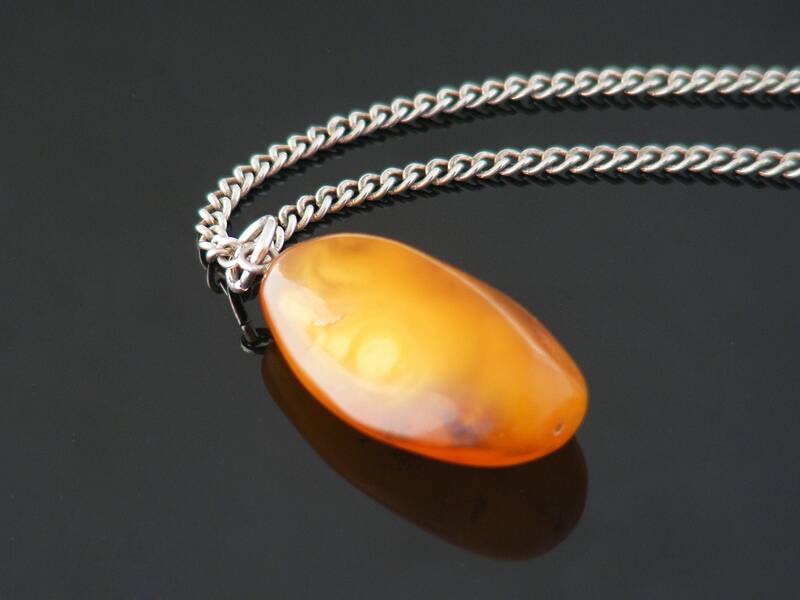 The amber drop is .63 x 1 inch or 16 x 26mm in size, not including the suspension ring. As found, sterling silver with STERLING stamped to the clasp with a nicely weighted curb chain, 2mm wide. Pendant and chain are shown on a life size torso in image #3. Condition: Very good. No chips or grazes to the amber. 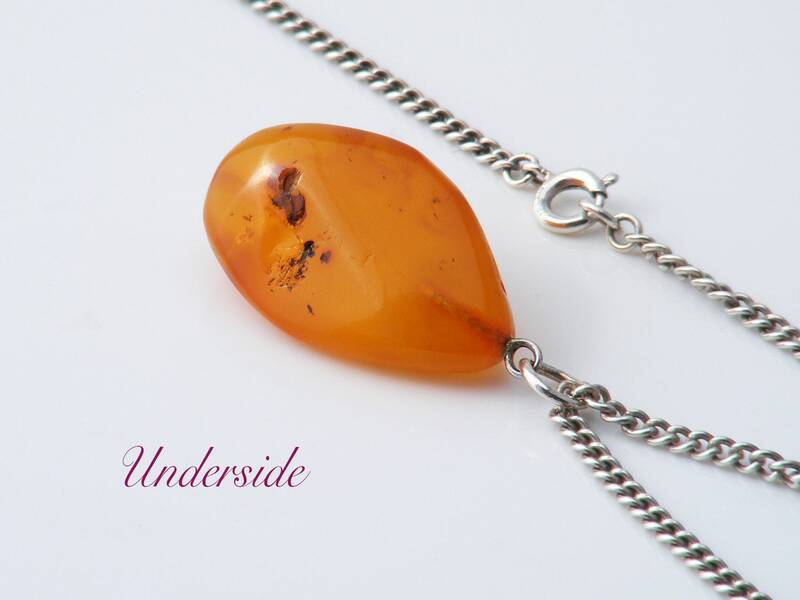 A minimal pendant that explodes with fiery color as light touches the amber - very beautiful.